Find answers and general information quickly about calls-to-action (CTAs) in HubSpot. How do I link my CTA to a PDF? Why is there no data for a CTA embedded on a WordPress page? Why is my smart CTA not showing the right variation? What are click tracking domains for CTAs? Why don't my CTA clicks match the page views of my page? Can I use an anchor ID in the URL link of a CTA? Why is the landing page URL so long after I click on a CTA? Why is some of my CTA text appearing below the button? Can I create a CTA outside of HubSpot? Can I put multiple CTAs on the same page? Why is my CTA displaying twice on my HubSpot page? Locate and click the name of your PDF. In the File details pane, click Copy URL. Navigate to your CTA tool. In your HubSpot account, navigate to Marketing > Lead Capture > CTAs. Hover over a CTA and click the Actions dropdown menu, then select Edit. In the slide-in panel, click Next > to access your CTA options. On the Options screen, click the URL redirect type dropdown menu and select External website URL. In the Enter URL field, paste in the PDF's URL. Click Save, then click Finish. Why is there no data for the CTA embedded on a WordPress page? If WordPress is altering the embed code, you could use a third-party plugin to add the CTA to the page/post in the form of a shortcode. One plugin that allows users to insert CTA codes via a shortcode (therefore preserving the script tags) is Insert HTML Snippet. Another example of this kind of plugin is Shortcoder. The contact may not meet the criteria of the contact list you've chosen in your smart CTA rule. Check that the contact meets the list criteria to ensure that they will see the right variation. A HubSpot CTA tracks clicks by directing visitors to an initial URL which associates the click to the CTA, before redirecting them to the final page. This initial URL is the click tracking URL. The click tracking URL domain is determined based on where the CTA is placed. When a CTA is placed on a HubSpot page, the click tracking URL's domain is the same as that HubSpot page's domain. If you are using website pages in HubSpot, the click tracking URL's domain will be the primary website domain set in your domain manager. If you are not using website pages, the click tracking URL's domain will be the primary landing page domain set in your domain manager. The landing page existed before the CTA was added (it would have more views than the CTA tool and therefore different CTR percentages). The HubSpot tracking code is missing from the page or isn't firing properly. In the slide-in panel, set up your CTA's design. On the Options screen, enter your link with the anchor ID included in the Enter URL field. After clicking on a CTA, the URL in the address bar looks like it has many more characters (letters, numbers, symbols) than your landing page URL normally contains. These extra characters are the tracking code applied to the URL only after clicking on a CTA button. This is not the new permanent landing page URL, but it is necessary to append these parameters in order to register views, submissions, and clicks for the CTA. The _hssc, _hstc, and _hsfp parameters are used for cookie tracking.The hsCtaTracking parameter is specific to CTA tracking. Learn more about these tracking parameters. 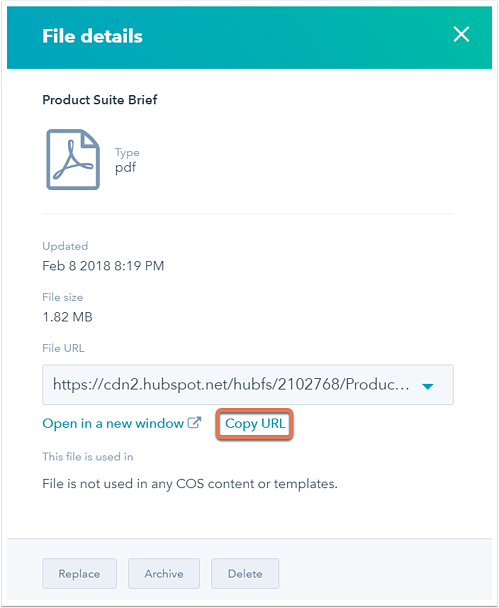 HubSpot's CTA tool gives users two options when editing the size of a specific CTA: automatic and fixed. If a CTA is configured to use fixed dimensions the button's background will be sized to those dimensions. In cases where the text area contains text that exceeds those dimensions (either by length or size) the CTA background is unable to adjust to fit the text. You can avoid this by reducing the size of the text on the CTA or by removing the fixed dimensions. While you can create CTA buttons outside of HubSpot's CTA tool, it is not recommended. 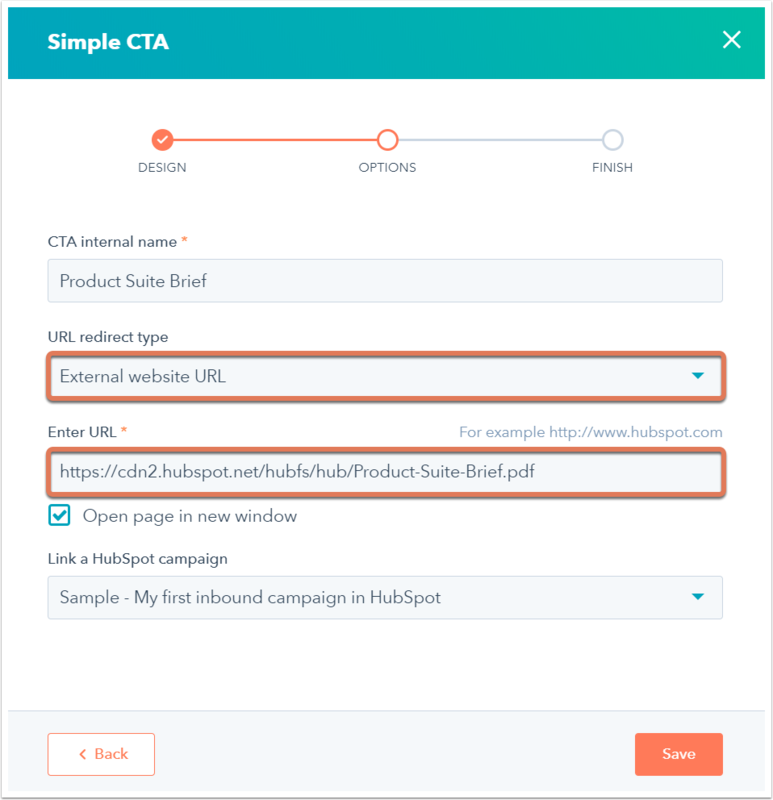 The advantages of using HubSpot's CTA tool include access to analytics data, click data, form submissions data, A/B testing (Marketing Hub Professional and Enterprise only), and an embed code that keeps your existing CTAs up to date. Yes, there is no limit to the number of CTAs that can be used on a page. This is caused by an additional anchor tag surrounding the CTA token within the source code. In order to resolve this issue, you will need to remove the anchor tag surrounding the CTA, leaving only the CTA token. In your HubSpot account, navigate to website pages, landing pages, or blogs. Locate the rich text module where the CTA is included and click into the module. Click the embed icon embed to access the source code.